Bathseba Ruggles was born February 13, 1745, to Timothy Ruggles, a very wealthy man who had held some of the most prominent positions in the Massachusetts Bay Colony. Bathsheba was said to be her father’s favorite child, was educated well and had everything money could buy. Joshua Spooner was born in 1741. Ruggles, a lawyer and chief justice of the Court of Common Pleas in Worcester, Massachusetts, was a strong-willed and determined man and an avowed Loyalist (British supporter). Under public censure for his refusal to sign the Stamp Act protest as a Massachusetts delegate to the 1765 Stamp Act Congress, Ruggles may have arranged the marriage of his daughter Bathsheba to Joshua Spooner. At any rate, on January 15, 1766, Bathsheba Ruggles married Joshua Spooner, twenty-five. The son of a wealthy Boston merchant, Spooner was a well-to-do and well-connected farmer in Brookfield, Massachusetts. They had their first child, Elizabeth, on April 8, 1767; three more followed between 1770 and 1775, but one died in infancy. At a time when class distinctions were important and social status was determined by family lineage, both Bathsheba and her husband were scions of prominent families of the colonial aristocracy, raised to a life of wealth and privilege. In these years immediately before the Revolution they were living in what was considered an elegant two-story house in Brookfield, and were considered wealthy by their neighbors. When the American Revolution began, Timothy Ruggles remained a Loyalist and was ultimately banished from Massachusetts, and the hatred generated by this extended to members of his family. He was forced to flee to Canada in 1774 and his massive estates were confiscated. Joshua Spooner supported the Patriots, while Bathsheba shared her father’s views. This caused much dissention in the Spooner marriage, and when Bathsheba wanted to see her father in Canada, Joshua forbade it. It was becoming common knowledge that the Spooner marriage was not a happy one, and that Bathsheba had developed what she was to characterize as an “utter aversion” towards her husband. The reasons for the rift are not fully known, but records indicate that Joshua Spooner was frequently drunk and sometimes physically abused his wife. Bathsheba, on the other hand was independent, strongwilled, and impetuous. When thirty-two-year-old Bathsheba Spooner met Ezra Ross in the spring of 1777, he was a sixteen-year-old soldier in the Continental Army, who had served under General George Washington for a year. Ross was walking home from Washington’s winter camp in Morristown, New Jersey, when he fell ill with fever and was nursed back to health by Bathsheba Spooner. 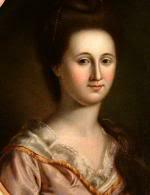 Sarah Pollard was born on May 4, 1725, daughter of Joseph and Priscilla Pollard. Edmund Pendleton was was born into the Virginia colony’s elite on September 9, 1721, in Caroline County, Virginia. However, his father’s early death and the subsequent loss of the family’s property left Pendleton to shift for himself. His upper-class origins eventually served him well, but his early years were ones of struggle. Martha Washington Jefferson was born on September 27, 1772, the daughter of Thomas Jefferson, third President of the United States, and Martha Wayles Jefferson. She was born at Monticello, near Charlottesville, Virginia, and was named in honor of her mother and of Martha Washington, wife of George Washington. Her nickname was Patsy. When Patsy was ten years old her mother died, and over the following years she became increasingly close to her father. From age 12 to 17, Patsy and her younger sister Polly lived in Paris with her father while he served as U.S. Minister to France. Jefferson enrolled the girls at Abbaye Royale de Panthemont convent school, after receiving assurances that Protestant students were exempt from religious instruction. After Patsy expressed a desire to convert to Catholicism, Jefferson quickly withdrew them from the school. In 1763 Theodosia Bartow married James Marcus Prevost, a British Army officer with whom she had five children. They lived in Bergen County, New Jersey, in a home they named the Hermitage. In 1776 James Marcus was called back to active duty in the Revolutionary War, while Theodosia tried to keep their home from being confiscated by the American government. Meanwhile she began a relationship with a young American officer named Aaron Burr. 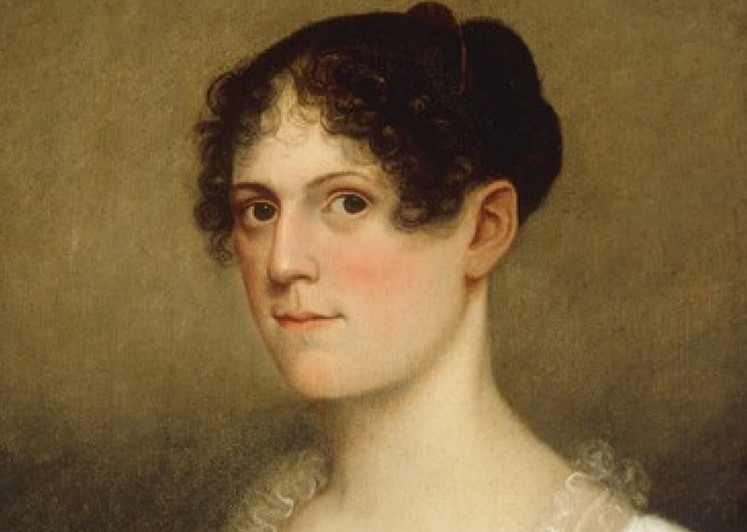 After her husband’s death in 1781, 35-year-old Theodosia Prevost, with five children, married 25-year-old Aaron Burr. Theodosious Bartow died in a carriage accident in Shrewsbury, New Jersey, in 1746 at age 34, while his wife Ann was pregnant with their only child, Theodosia Bartow. 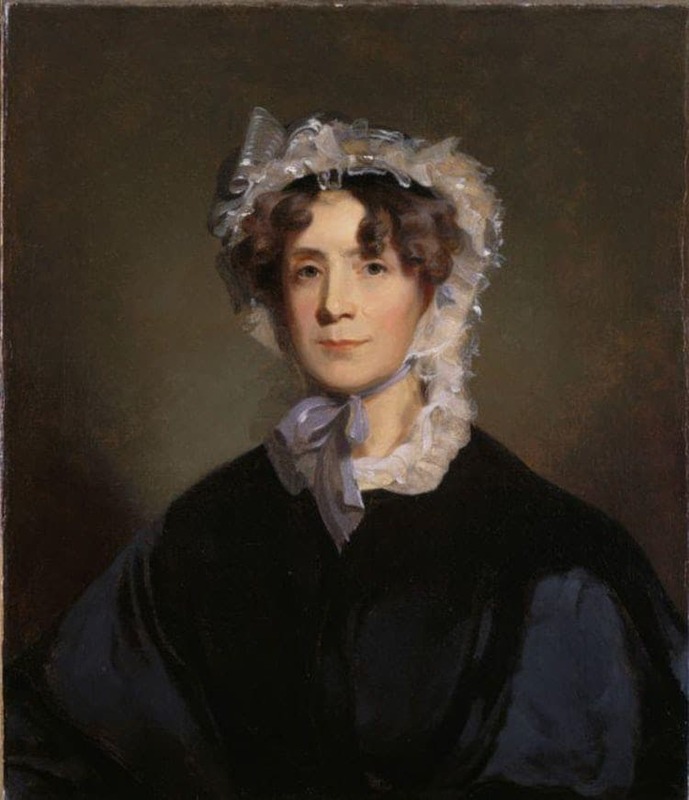 For five years Ann raised Theodosia as a single parent, apparently partially in Shrewsbury and partially in New York City where several of her sisters and brothers were living. Loyal Whig, Enthusiastic Patriot, Revolutionary Heroine. 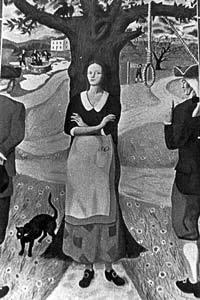 Martha McFarland was born in 1735 in Alamance County, North Carolina. In 1759, Martha married Colonel John McGee, a prosperous farmer and trader who came to North Carolina in 1750. They had five children: Jane (1760-1835), Susannah (1761-1843), John (1763-1836), William (1768-1817) and Andrew McGee (d. 1819). The McGees were among the wealthiest people in the county. John McGee died in 1773, but left his family well provided for. Martha carried on his business and farming, just as he had been doing. His farming operations were quite extensive for a new settler, and in the store, he bartered a great deal, by exchanging goods for deer skins, furs, flaxseed, beeswax and such items. Esther De Berdt was born October 22, 1746, in London, England, one of two children of Martha Symon De Berdt and Dennis De Berdt, an English businessman who traded with the colonists in Delaware and Massachusetts. The fair-haired, attractive young Esther was a lively talker and a lover of books. The De Berdt children grew up near the Houses of Parliament, in Artillery Court, with summers spent in Enfield. Arriving in Philadelphia from London as a young bride, Esther De Berdt Reed had by 1774 become a zealous American Patriot. The Ladies Association she founded made shirts for the soldiers of the Continental Army, and became for the model for similar drives in Maryland, New Jersey and Virginia. Historians are undecided about the exact birth date of Kerenhappuch Norman, but it is assumed that she was born in Spotsylvania County, Virginia, in about 1715. She was the daughter of a well known tobacco planter, Isaac Norman, Jr. and his wife, the former Frances Courtney. Kerenhappuch Norman married James Turner, the son of a prominent family and also a tobacco planter, in Spotsylvania County in 1733. Deed records show that following the wedding, Isaac Norman gave 50 pounds and 100 acres of his home plantation to his daughter and her new husband. During the Revolutionary War, the Carolina colonies were invaded by the British in 1781. Patriot Generals Nathanael Greene, Thomas Sumter, Henry “Light Horse Harry” Lee, and Francis Marion were waging an all-out campaign to rid South Carolina of the British. General Greene had spent 28 days trying to capture the fort at Ninety-Six, South Carolina, but had been forced to retreat when he discovered that British General Lord Francis Rawdon was coming with reinforcements. General Greene felt that Rawdon’s men were vulnerable to attack, but knew he lacked the manpower to win the skirmish. If General Greene could get a message to General Sumter, the two units could join forces and attack General Rawdon en masse. Two things made getting such a message to General Sumter very difficult. Seventy miles of difficult terrain – some of it a dense marsh – separated the two armies, and the area was a hotbed of British sympathizers. General Greene hesitated to order any of his men – who were exhausted and weak from lack of proper food – to undertake such a ride. So he called for a civilian volunteer to carry the message. But no one could be found willing to run the risk of traversing a section of country that was infested with revengeful Tories. About two miles from where General Greene had camped with his weary and disheartened troops, stood the residence of a well-to-do farmer named John Geiger, a loyal and outspoken patriot, but an invalid and unable to bear arms for his country. His eighteen-year-old daughter Emily was an ardent patriot as well. Emily Geiger overheard her father and one of his friends discussing Greene’s dilemma and his call for a courier. Without saying anything to her father, she left the house and went to General Greene’s camp, asking to speak to the general personally. 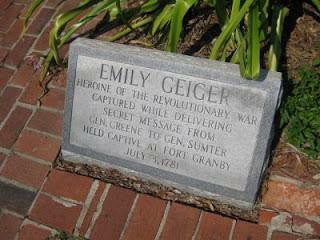 She bravely offered to carry his message to General Sumter. Martha Robertson was born about 1750 in Rowan County, North Carolina. 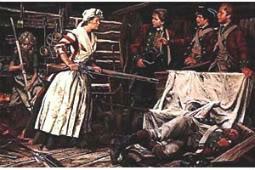 Not much is known about her early life, but her acts of heroism during the Revolutionary War are very well known. Martha Robertson married William Bratton, a Pennsylvanian of Irish parentage, who lived in the York District of South Carolina, just below the North Carolina border. In the troubled times that preceded the American Revolution, the Brattons’ courage and deportment gave them great influence among their neighbors and friends. The year 1780 was a dark period for the patriots of South Carolina, the year the British invaded their state. The city of Charleston surrendered on May 12, and General Benjamin Lincoln and the his army became prisoners of war. After this initial success, the British secured the important post of Ninety-Six; another contingent scoured the countryside bordering on the Savannah; and Lord Cornwallis passed the Santee and took the town of Georgetown. Armed garrisons were posted throughout the state, which lay at the mercy of the enemy. Sir Henry Clinton boasted that here at least, the American Revolution was ended. A proclamation was issued, denouncing those who would fight them, and offering pardon to those who would acknowledge them and accept British protection. Many of the people, believing resistance was hopeless, took the offered protection, while those who refused absolute submission were exiled or imprisoned. But the colonists of York District of South Carolina never gave their paroles, nor accepted protection as British subjects; preferring resistance to subjection. A few individuals sought refuge in North Carolina. They were followed by the Whigs of Chester and other districts bordering on that state, who fled from the British troops as they marched into the upper country. Those patriot exiles soon organized themselves in companies, and under their gallant leaders, General Thomas Sumter, Colonel William Bratton and others, began to collect on the frontier, and to harass the enemy by sudden unexpected attacks. At the time, the state was unable to feed, clothe or arm the soldiers. They had to depend on themselves. They gathered in the woods and swamps, and frequently wanted both for food and clothing. During his long absences from home, serving with the patriot resistance, Colonel Bratton was seldom able to see or communicate with his family, and Martha must have been constantly anxious for his safety. She, however, never complained, but devoted herself to the care of her family, striving at the same time to aid and encourage her neighbors.